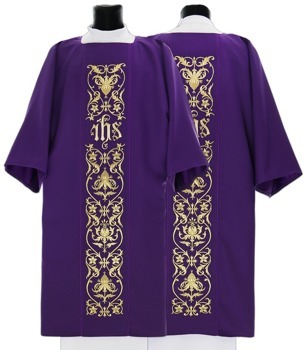 This was a beautiful dalmatic and arrived promptly! I continue to be impressed by your company. God bless. This Gold Cope is excellent quality, and will add to dignity of celebrating Eucharistic Exposition and Benediction. Beautiful, high quality, as described, delivered promptly. I've ordered from Ackermann before and keep coming back due to their professionalism, Products, and Prices. a stunning vestment, beautifully crafted and highly appropriate to the days celebrating our lord's birth!